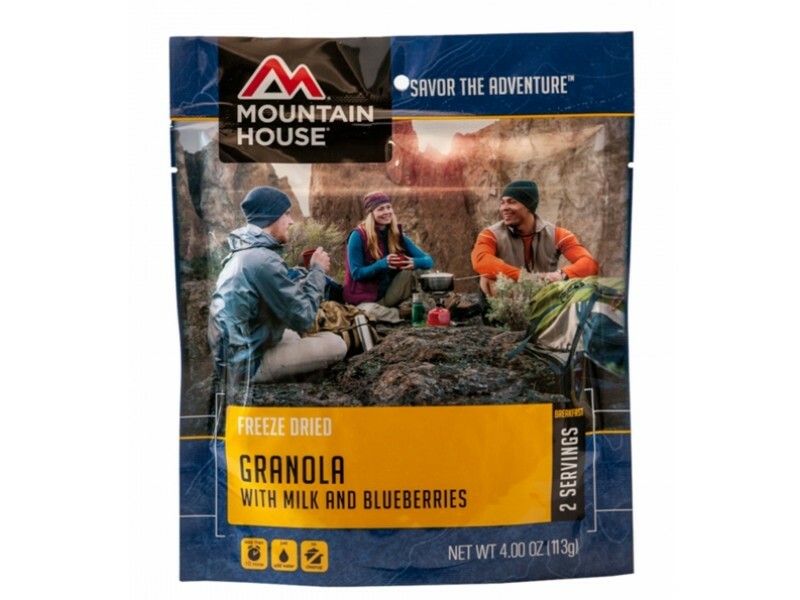 Granola with blueberries and milk from Mountain House comes in a convenient pouch that contains 2 servings of ½ cup each. This is plenty of food for one or two people to enjoy this healthy breakfast any time they feel the need. The freeze dried food is very simple to prepare by adding in the instructed amount of water. This will reconstitute the food in just minutes, so it will be ready to enjoy very quickly. In addition to tasting great, this meal will last for 10+ years on the shelf without a problem. Granola with blueberries and milk is a popular breakfast meal that most people enjoy. Both children and adults love the sweet taste, and the fact that it is very healthy. When you order this product, you’ll get one pouch that is filled with 2 full servings of berries, milk and granola. 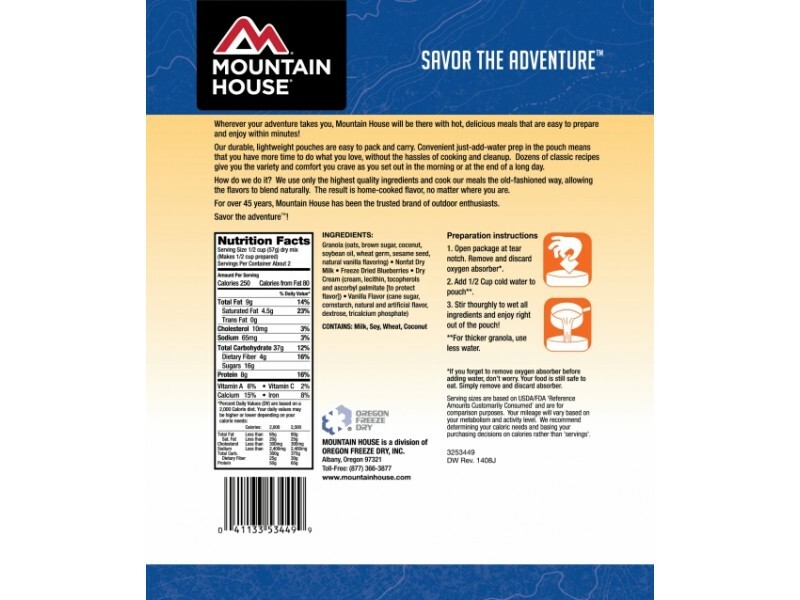 Mountain House has done an excellent job of professionally freeze drying the food so that it will last a long time on the shelf, but still tastes great when you are ready to open and enjoy it. 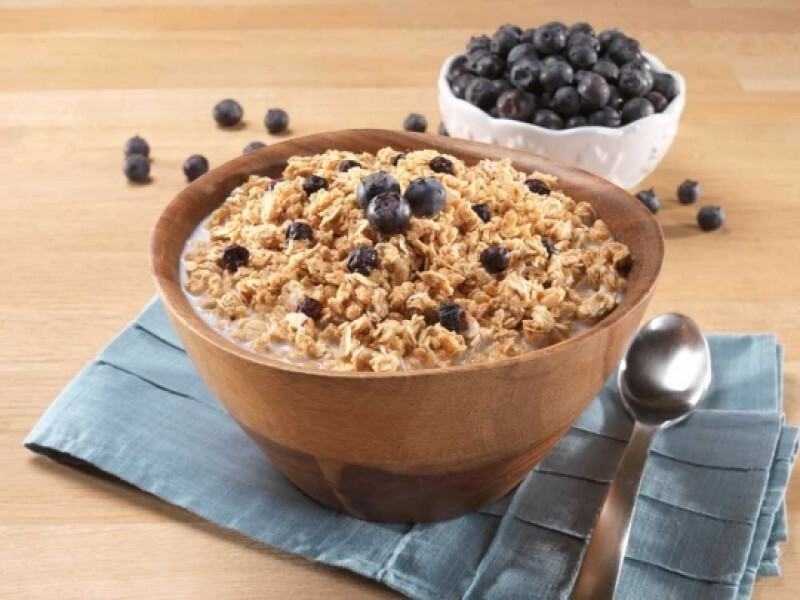 Each serving of granola with blueberries and milk contains a variety of important nutrients, including 8 grams of protein, 4 grams of fiber, and 260 calories. Each of these things are very important when in any type of survival situation. When you wake up and enjoy this great meal, you’ll feel strong and full for hours, no matter what the day brings your way. You can choose to buy just one pouch to give it a try to see if you like it, or stock up on these convenient pouches so you have enough for the whole family. Adding this granola with blueberries and milk to your emergency food stockpile is a great way to ensure you have plenty of variety when it comes to the food you have available in an emergency. 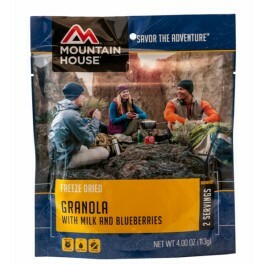 INGREDIENTS: Granola (rolled oats, brown sugar, unsweetened coconut, soy oil, sesame seed, wheat germ, natural vanilla flavoring), Nonfat Dry Milk, Freeze Dried Blueberries, Dry Cream (sweet cream, soy lecithin, and tocopherols), and Natural and Artificial Vanilla Flavor. CONTAINS: Soy, Milk, Wheat, Coconut. Granola with blueberries and powdered milk.